The tireless work of Zero Waste Romania recently won many victories, here they share some of their achievements. To find our more get in contact via their Facebook page or email them directly. In the coming weeks we will be looking at other stories of zero waste practices in Central & Eastern Europe. The city of Iasi has joined the “Zero Waste Municipality” international network and become the biggest city in Romania, with a population of over 350 000 inhabitants, that engaged to adopt the zero waste methodology with proven impact in other over 350 cities across Europe, in facilitating the transition towards circular economy. 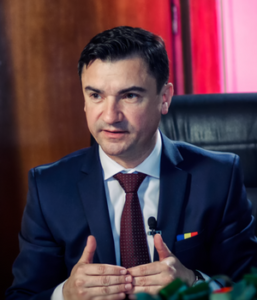 The affiliation process started in September 2016, when Mihai Chirica, the mayor of Iasi, signed a formal engagement letter and organized a task force group with all the main actors involved in the waste management at local level from the waste operator, local Police and NGOs to the Ministry of Environment. Funding is also being sought for the extension of the existing Municipal Waste Collection Center with a repair and resale center for furniture, textiles, electronics and construction waste, a pioneering initiative in Romania. The “zero waste” methodology has been adopted by 40 other small communities and cities including Targu Lapus, the first Romanian city to adopt the strategy in 2014. In October 2016, Romania included in the waste framework legislation the “Pay as you Throw” instrument to be implemented at national level, whenever it is technically and economically viable following the 2008/98/EC recommended language. Even if not mandatory, this event marks a historical milestone in the battle for an improved waste management system still based mostly on landfilling and opened the door to municipalities to adopt the instrument in local legislation and modify their commercial contract with the waste operator. The first city in progress to adopt PAYT is Iasi (+350 000 inhabitants), followed by Oradea (+250 000 inhabitants) which will be announced in April 2017. Zero Waste Europe Alliance in view of the G20 meeting calls the EU leaders to contemplate the Zero Waste strategy as a way to create green jobs and green the infrastructure. “The economic crisis proves, among other things, that our model of linear throw-away carbon-based economy has reached its limit. Humankind will only survive if we starting using a systemic approach and, by imitating natural cycles, we design an economy that produces no waste. Waste is the result of either badly designed or badly functioning economy and as such it should be changed. Zero Waste programs are the fastest and most cost effective ways that local governments can contribute to reducing climate change, protect health, create green jobs, and promote local sustainability.” said Rick Anthony from Zero Waste International Alliance. The Zero Waste Alliance urges Mr Brown to bring Zero Waste into the agenda of the G20 meeting as a strategy to create green jobs and new more efficient infrastructure. “The G20, hosted by British PM Brown, is not allowed to come with elusive answers. We need structural solutions able to change current patterns and provide lasting jobs for those suffering from the crisis. Investing in prevention, separate collection schemes, reuse centers, recycling and composting facilities and creative design is cheaper than investing in finalist solutions such as incinerators or landfills and above all they create 10 times more jobs. These Zero Waste systems also save business’ money by helping them become more resource efficient and resilient” Said Maxine Narburgh, UK coordinator of Zero Waste Europe (ZWE). “The European Union plays a major role not only as environmental actor but also in defining production patterns. It is vital that the EU stops promoting and financing incinerators that only destroy resources and starts focusing in truly developing a recycling society. Incinerators create 10 times less jobs than Zero Waste and by burning resources they only continue with the outdated linear throw-away society” said Joan-Marc Simon, EU coordinator of Zero Waste Europe.